Mercedes-Benz sources in Germany have confirmed Chinese media reports suggesting its parent company Daimler and Chinese car maker BYD Auto’s new joint venture brand will be called Denza. Created as a Chinese-market-only brand, Denza is set to support a range of affordable electric powered vehicles – the first of which is set to be unveiled at the Beijing motor show on April 23. 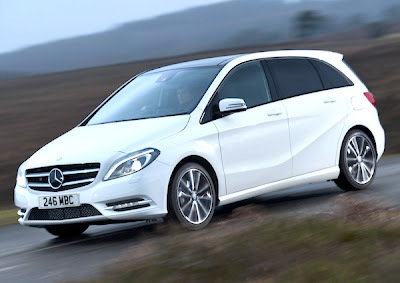 Based on the underpinnings of the first-generation Mercedes-Benz B-class – a car originally designed to accept batteries within its flat floor structure, the first Denza model has been developed in a joint engineering effort between Daimler and BYD, a partnership that was made official by Daimler chairman Dieter Zetsche and BYD president Wang Chuanfu back in 2010.